﻿ Hotel Skypark Myeongdong III, Seoul | FROM $56 - SAVE ON AGODA! 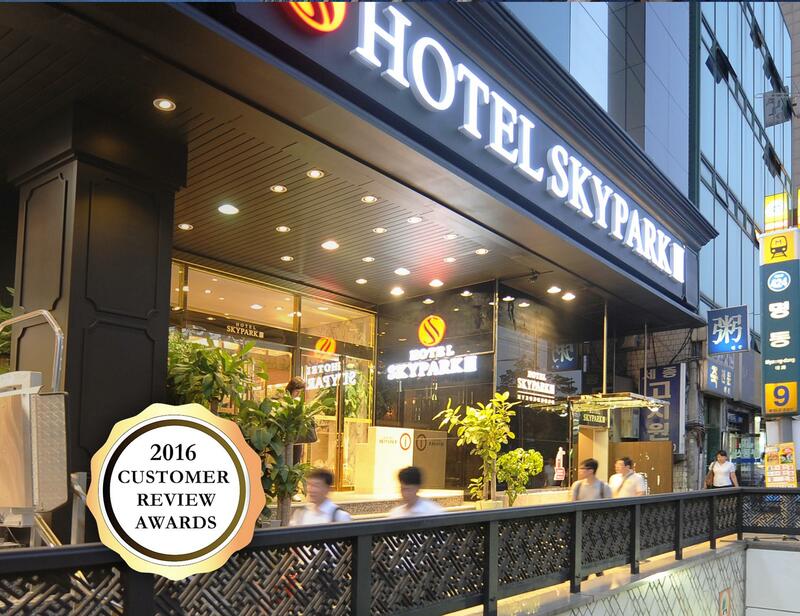 Have a question for Hotel Skypark Myeongdong III? "Like the excellent location and the washing machine facility provided ." "Skypark MD III is at perfect location, 3minute walking distance to Myeongdong shopping street and Airport Limo station." "The location is superb if you are looking to shop at Myeongdong for cosmetics & beauty products!" 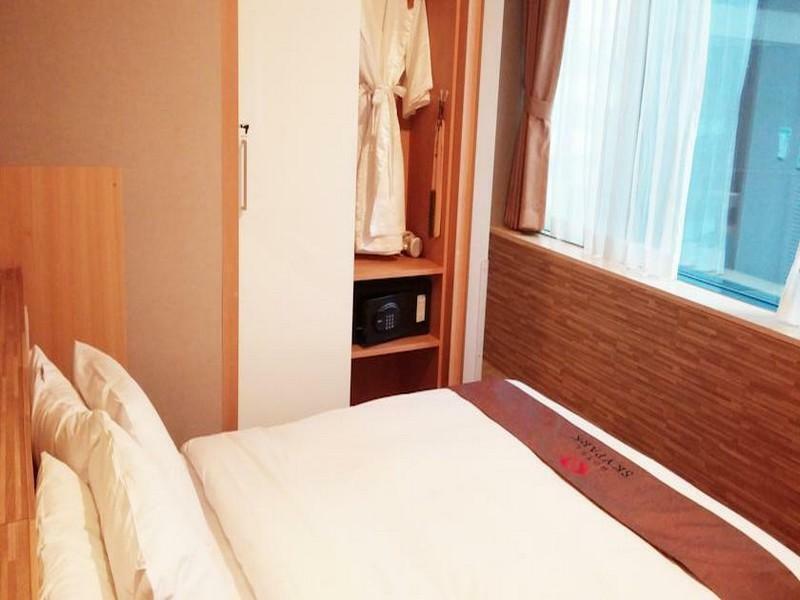 "Location is OK and walking distance for food, shopping, subw..."
Whether you're a tourist or traveling on business, Hotel Skypark Myeongdong III is a great choice for accommodation when visiting Seoul. From here, guests can enjoy easy access to all that the lively city has to offer. No less exceptional is the hotel's easy access to the city's myriad attractions and landmarks, such as Dream Cosme, Saejong Gallery, YH.KIM. 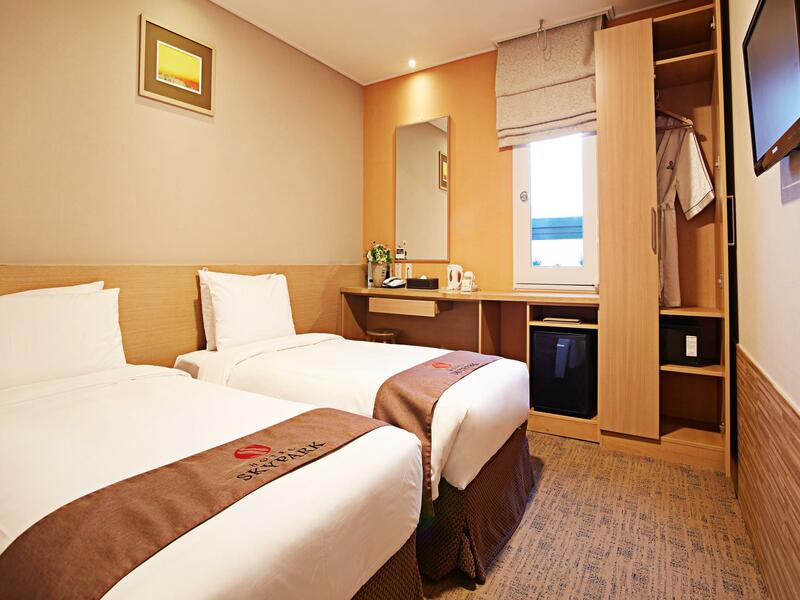 Hotel Skypark Myeongdong III also offers many facilities to enrich your stay in Seoul. 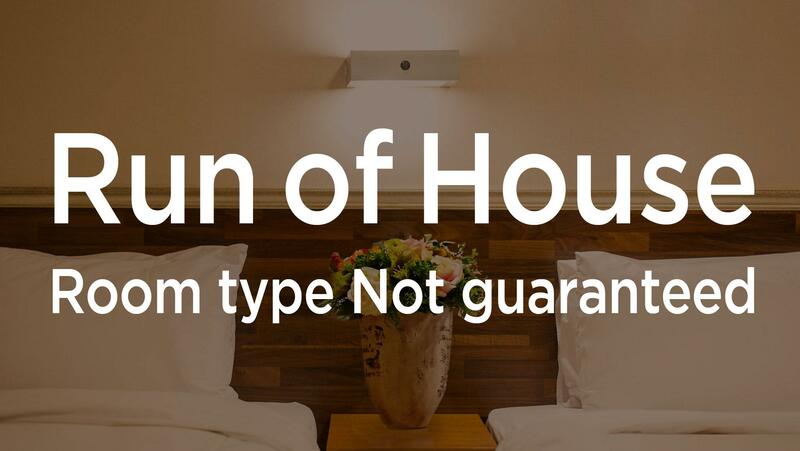 While lodging at this wonderful property, guests can enjoy free Wi-Fi in all rooms, 24-hour front desk, facilities for disabled guests, luggage storage, Wi-Fi in public areas. Step into one of 136 inviting rooms and escape the stresses of the day with a wide range of amenities such as television LCD/plasma screen, clothes rack, closet, internet access – wireless, internet access – wireless (complimentary) which can be found in some rooms. The hotel offers wonderful recreational facilities such as hot tub to make your stay truly unforgettable. 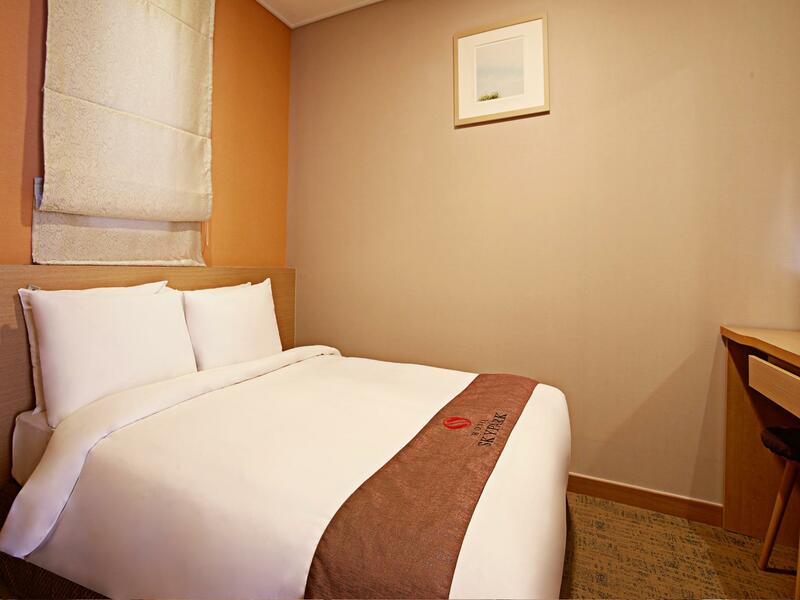 Superb facilities and an excellent location make the Hotel Skypark Myeongdong III the perfect base from which to enjoy your stay in Seoul. "Self service Laundry machine provided." Traveled with a huge group of 20 pax, inclusive of young children and elderly. This hotel was perfect for all. Located just steps from the heart of Myeongdong meant we were never short of activities and dining options. Location is truly the selling point of this (not so)-hidden gem. We’ve got everything we need. Very near myeongdong! Stayed in a quadruple room and another single room. Had a comforfable stay. Nice bed and linens. Shuttle to dongdaenum also a plus, just need to prebook. 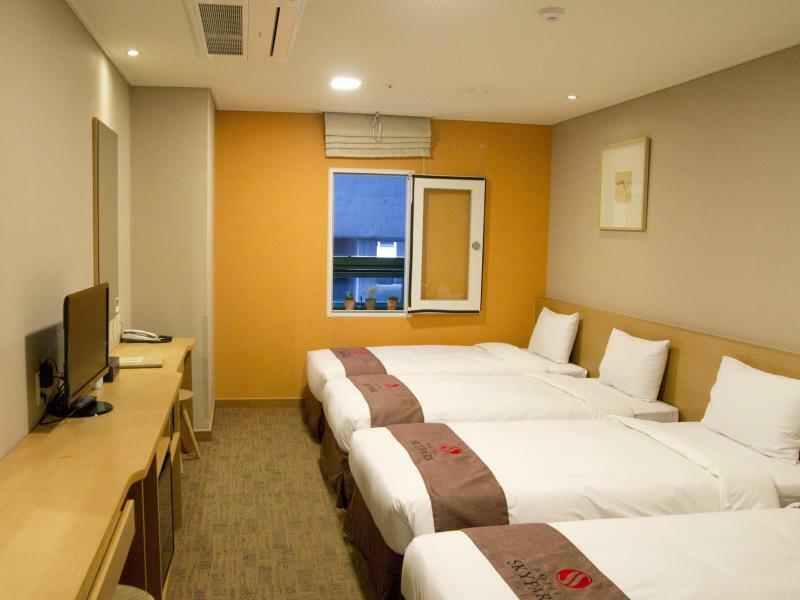 Pros : Close proximity to subway & Myeongdong shopping district. A bakery & 7/11 store at Lobby level. Cons : It would be nice to have non disposable cups / saucers/ spoons in the room for hot beverages rather than only paper cups. I think this is the best among skypark hotels in terms of location, Myeongdong station exit 9 is just few steps from hotel. 7-eleven and bakery shop within the hotel buidling. Airport bus limo is in front of hotel, and it takes off every 30 minutes around US15 per way. the famous night market is just behind hotel. the only unpleasant experience we had was getting back to our hotel from the dongdeamun night market using the hotel free shuttle. the driver refuse to take us back as our names were not in his list. hotel did not convey our names when we book for the shuttle. Make sure your names are in the list when you take the free shuttle bus. free shuttle to lotte mart, stilla duty free & dongdeamun market. Overall, we had a good stay in Myeongdong, will definitely stay here again. We enjoyed the shuttle bus to Seoul Station, and selected area which is a plus point for this hotel since the last we went to Lotte Mart at Seoul Station to fill up our luggage’s. Decent room, location and value for money and airport bus also available just right in front of hotel, can’t ask for more. Like the excellent location and the washing machine facility provided . Very convenient to move by MRT since Myeongdong mrt exit 9 is located right at door step. But when group have elderly , the free shuttle bus service provided by Skypark will be very useful. Unfortunately we couldn’t get into the Skypark free shuttle bus as was fully book and was told must book 3 hour in advance . The hotel is very near to exit 7 of Myeongdong subway station. There is a bakery and a convenience shop just next to it, and the night market and shopping streets are just about 100m away. The Airport limousine bus stop is about 50m away only; really great if you have big and heavy luggages. Room is clean and quiet, although there is no window in our room and the room is quite small. Not much facilities in the hotel but you won't be staying in when there are lots to see and do nearby. Easy to access to n from anywhere, airport bus 6001/6015 just steps away fr hotel. Myd Subway station exit 9 right in front of hotel. Twin Room size is adequate n warm thru out my winter stay. Daily Cleanliness is excellent¯, as opposed to some reviews, my room was perfectly cleaned n tidied daily. Happy I changed my booking to Skypark3 at the last min, coz I wanna a hotel nearer to subway station. Right in front of subway exit, near shopping market that comes alive from late noon til midnight. Airport bus is closeby. Room is small but managable. Lots of restaurants around the area. Highly recommended! Located close to airport limousine bus stop (6001 & 6015 to Incheon airport), lobby next to bakery Paris Baguette & 7-11. No need to worry to get hungry. Aritaum is located next to the hotel building. Walking distance to Myeongdong Shopping Street (just behind the hotel). 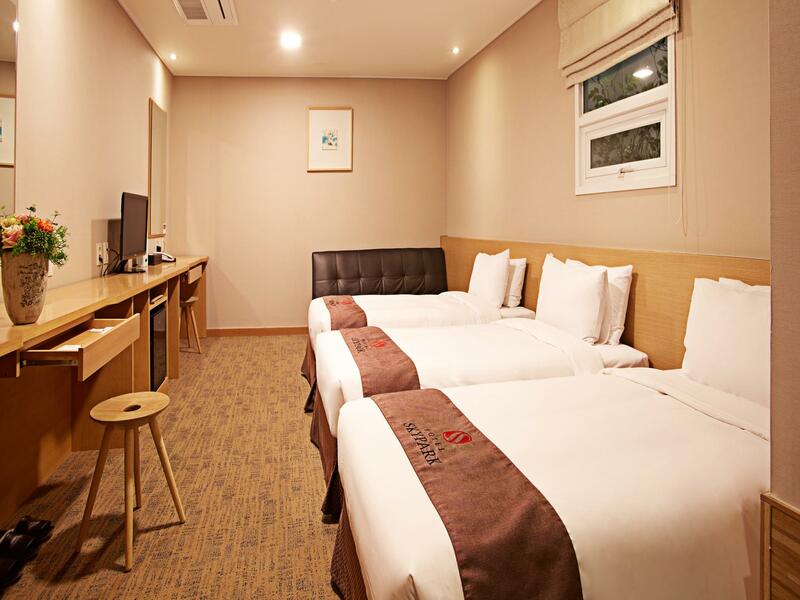 The hotel is located next to Myeongdong subway station Exit 9. Next time back to Korea travel, will stay in hotel sky park Myeong-dong3 again love here so much!!! Basic but i has all the essentials , the location is on point, close to everything, the metro is in front, taxi is in front, 7/11 downstairs, friendly staff, and rooms are small, cannot stress that enough. But it was good if you’re out and about all day. Definitely would stay here again! The hotel location is good for shopping in Myeongdong. Transportation from/to the hotel is quite convenient either by limousine bus to the airport or by subway just in front of the hotel. The room is quite spacious with reasonable price. Shame there is no gym and no tablewares, such as plate, fork, spoon. The only issue I would complain is some young male staffs' service mind and friendliness. It is too obvious how they treated the customers. I hope they improve their manners when I visit again in the future.